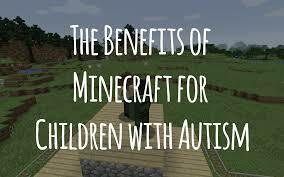 Block building video game Minecraft could help children with autism to interact with others, according to medics. A speech and language expert from the National Autistic Society said the game could help autistic children improve their communication, concentration and ability to solve problems. Mum Lisa Taft said her 14-year-old son Donny “struggled with interaction” but enjoyed Minecraft because the game was “never-ending” and relied on “imagination”. This clip is originally from 5 live Breakfast on Wednesday 10th June 2015.